Payment can be done through Demand Draft in support of “The National Small Industries Corporation Limited”, allocated at New Delhi. On the other hand, 50% concession in Application Fees is given to SC/ST/ candidate with Disability (PD)/Ex-servicemen (ESM)/Women candidate. The candidate can submit an application online at NSIC official website from 05/09/2018 to 06/10/2018 only. 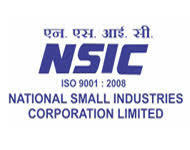 Kindly visit NISC official website at http://www.nsic.co.in/Career/Careers.aspx for more details and online processing of submission.